It could be that you have gone to a racetrack and seen people who appear to have spent years and years making wagers you never heard of, and rattle them off like they were absolutely second nature. That can be intimidating. And maybe it requires some de-mystification. * WIN, PLACE, SHOW — This represents the horses that finish first, second and third in a race. You can bet one of the contestants to either win, place or show, all three, or any two of the three. 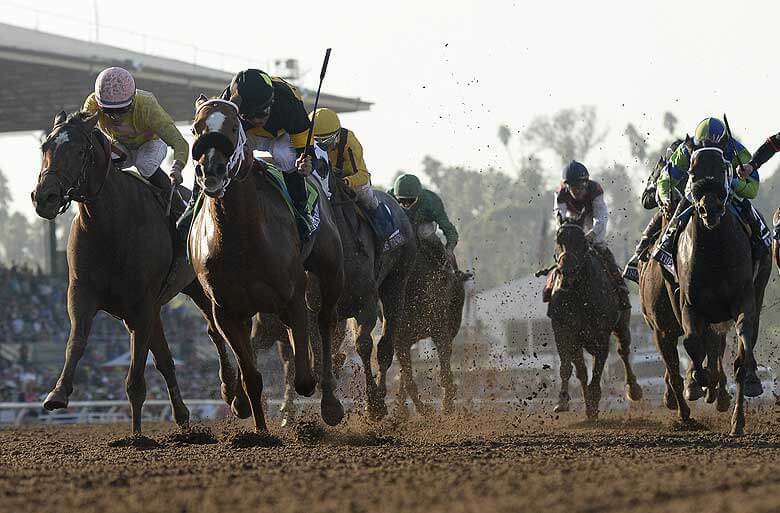 * EXACTA, or PERFECTA — The first two horses finishing in order. * QUINELLA — Here, you would be picking the first two finishers, but they can be in either order. For a standard bet, it would pay off at half the value of a perfecta/exacta. * TRIFECTA — The first three horses finishing in order. * SUPERFECTA — Here you would be picking the first FOUR horses in order. * DAILY DOUBLE — This involves wagering on the winners of the first two races on a given day, or two other races that would be designated as “daily Double” races. * PICK 3 — Here you would select and wager on the winners of three designated races, taking place on the same card at a racetrack. * PICK 6 — Like the Pick 3, this requires you to have the winners of designated races, except that there are six of them. You can “box” horses in an effort to win some of the exotic bets. For example, you can group a number of horses (three, four or more) into a box to win the Quinella or Exacta, in the hope that two of the horses that are included in the box will win; if you have put together a $1 box, you’ll get half the regular posted payout on that exotic bet; if you spent twice as much for a $2 box, you’ll get paid full price. You can put together a trifecta box as well; you can use three horses or more. In fact, you can use a lot more. One thing that is important to keep in mind is that for every different combination that is included as part of a box, the bet is increased. And when you are talking about a Superfecta box, you are talking about a lot of combinations. The Pick 6 is extremely popular, as you can probably imagine. And that is because it offers a very substantial payout, which will be won by either one individual or shared between multiple people. If no one wins a Pick 6, there is a jackpot carry-over, which then increases the payout. In this way it is very much like a Pick 6 lotto game. For any given race within the racebook, you will see all the possible betting options just to the left of the list of horses. You will simply click on the option you want and choose your horses from there.